Hong Kong (香港; "Fragrant Harbour"), officially known as Hong Kong Special Administrative Region of the People's Republic of China, is an autonomous territory on the southern coast of China at the Pearl River Estuary and the South China Sea. Hong Kong is known for its skyline and deep natural harbour. It has an area of 1,104 km2 (426 sq mi) and shares its northern border with the Canton Province of Mainland China. Home to around 7,200,000 Hongkongers and other nationalities, Hong Kong is one of the world's most densely populated regions. After the First Opium War (1839–42), Hong Kong became a British colony with the perpetual cession of Hong Kong Island, followed by Kowloon Peninsula in 1860 and a 99-year lease of the New Territories in 1898. After it was occupied by Japan in the Second World War (1941–45), the British resumed control until 30 June 1997. 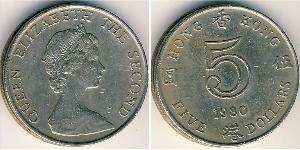 As a result of negotiations between China and Britain, Hong Kong was transferred to the People's Republic of China under the 1984 Sino-British Joint Declaration. The territory became China's first provincial-level special administrative region with a high degree of autonomy on 1 July 1997 under the principle of one country, two systems. In the late 1970s, Hong Kong became a major entrepôt in Asia-Pacific. The territory has developed into a major global trade hub and financial centre, and is regarded as a world city. The 45th-largest economy in the world,Hong Kong ranks top ten in GDP (PPP) per capita. Hong Kong is one of the three most important financial centres alongside New York and London. The territory has a high Human Development Index and is ranked highly in the Global Competitiveness Report. It has been named the freest market economy by the Heritage Foundation Index of Economic Freedom. The service economy, characterised by low taxation and free trade, has been regarded as one of the world's most laissez-faire economic policies, and the currency, the Hong Kong dollar, is the 13th most traded currency in the world. The territory has the most severe income inequality among advanced economies. Hong Kong is a member of APEC, ADB, IMF, BIS, WTO, FIFA, and International Olympic Committee, as Hong Kong Basic Law authorizes the territory to develop relations with foreign states on its own in appropriate fields, including the economic, trade, financial and monetary, shipping, communications, tourism, cultural and sports fields. The name "Hong Kong" is an approximate phonetic rendering of the pronunciation of the spoken Cantonese or Hakka name 香港, meaning "Fragrant Harbour". Before 1842, the name referred to a small inlet—now Aberdeen Harbour (香港仔 hoeng1gong2 zai2, or Hiong1gong3zai3 in Hong Kong Hakka, literally means "Little Hong Kong")—between Aberdeen Island and the south side of Hong Kong Island, which was one of the first points of contact between British sailors and local fishermen. Hong Kong has carried many nicknames: the most famous among those is the "Pearl of the Orient", which reflected the impressive night-view of the city's light decorations on the skyscrapers along both sides of the Victoria Harbour. From the middle age of Tang dynasty to early Ming dynasty, the territory that now comprises Hong Kong was governed by Dongguan County (東莞縣/ 東官縣). In Ming dynasty, the territory that now comprises Hong Kong was governed by Xin'an County (新安縣) up till the territory was colonized by the British government . Before the British government colonized New Territories and New Kowloon in 1898, Punti people, Hakka people, some Tanka people (蜑家人/ 水上人) and some Hokkien people (閩南人/ 學佬人/ 鶴佬人/ 福佬人) had migrated and stayed in nowadays' Hong Kong for many years. They are the Indigenous inhabitants in Hong Kong, still in now. In the mid-16th century, the Haijin order (closed-door, isolation policy) was enforced and it strictly forbade all maritime activities in order to prevent contact from foreigners by sea. From 1661 to 1669, Hong Kong was directly affected by the Great Clearance of Kangxi Emperor, who required the evacuation of coastal areas of Guangdong. About 16,000 people from Hong Kong and Bao'an County were forced to emigrate inland; only 1,648 of those who evacuated were said to have returned after the evacuation was rescinded in 1669. In 1925, Cecil Clementi became the 17th Governor of Hong Kong. Fluent in Cantonese and without a need for translator, Clementi introduced the first ethnic Chinese, Shouson Chow, into the Executive Council as an unofficial member. Under his tenure, Kai Tak Airport entered operation for the Royal Air Force (RAF) Hong Kong and several aviation clubs. In 1937, the Second Sino-Japanese War broke out when the Japanese Empire expanded its territories from northeastern China into the mainland proper. To safeguard Hong Kong as a freeport, Governor Geoffry Northcote declared the Crown Colony as a neutral zone. During the Japanese occupation of Hong Kong, the Japanese army committed atrocities against civilians and POWs, such as the St. Stephen's College massacre. Local residents also suffered widespread food shortages, limited rationing and hyper-inflation arising from the forced exchange of currency from Hong Kong Dollars to Japanese military banknotes. 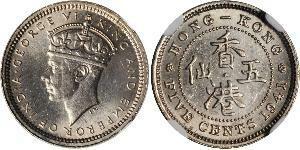 The initial ratio of 2:1 was gradually devalued to 4:1 and ownership of Hong Kong Dollars was declared illegal and punishable by harsh torture. Due to starvation, mass executions, and forced deportation for slave labour to mainland China, the population of Hong Kong had dwindled from 1.6 million in 1941 to 600,000 in 1945, when Britain resumed control of the colony on 30 August 1945. Sir Donald Tsang, the then-Chief Secretary for Administration and ex-official of the British Hong Kong government, entered the 2005 election uncontested and was appointed by Beijing as the second Chief Executive of Hong Kong on 21 June 2005. Tsang also won a second term in office following the 2007 Chief Executive election under managed voting. 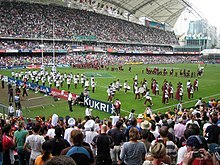 In 2009, Hong Kong hosted the 5th East Asian Games, in which nine national teams. The Games was the first and largest international multi-sport event ever being organised and hosted by the city. Major infrastructure and tourist projects also began under Sir Tsang's second term, including Hong Kong Disneyland, Ngong Ping 360 (for Tian Tan Buddha and Tseung Kwan O Line (new metro line) had their inaugurations and a new cultural complex, the West Kowloon Cultural District. Hong Kong enjoys a high degree of autonomy, as its political and judicial systems operate independently from those of mainland China. In accordance with the Sino-British Joint Declaration, and the underlying principle of one country, two systems, Hong Kong has a "high degree of autonomy as a special administrative region in all areas except defence and foreign affairs". [note 1] The declaration stipulates that the region maintain its capitalist economic system and guarantees the rights and freedoms of its people for at least 50 years after the 1997 handover. [note 2] The guarantees over the territory's autonomy and the individual rights and freedoms are enshrined in the Hong Kong Basic Law, the territory's constitutional document, which outlines the system of governance of the Hong Kong Special Administrative Region, but which is subject to the interpretation of the Standing Committee of the National People's Congress (NPCSC). On 31 August 2014, China disapproved a full democracy in Hong Kong by ruling that only three candidates could run for elections as leader in 2017, and they would be chosen by a nomination committee. Themis or Lady Justice, armed with sword and balance scales ( Legislative Council Building, Central, Hong Kong). She is the personification of justice balancing the scales of truth and fairness. Hong Kong's Basic Law in general provides Hong Kong a high level of civil liberties. The Hong Kong government generally respects the human rights of its citizens, although core issues remain. There are concerns over the freedom of assembly which is restricted by the Public Order Ordinance. The police have occasionally been accused of using heavy-handed tactics toward protesters in public rallies, and there is controversy regarding the extensive powers of the police. As to the right of privacy, covert surveillance remains the major concern. A lack of protection for LGBT communities persists, due to the absence of a sexual orientation anti-discrimination legislation, though there are currently no existent laws that criminalise homosexuality per se. Labour rights, such as maximum working hours, is another area that requires debate and legislation. When China assumed sovereignty in July 1997, the British barracks were replaced by a garrison of the People's Liberation Army, comprising ground, naval, and air forces, who come under the command of the Chinese Central Military Commission. Hong Kong is located on China's south coast, 60 km (37 mi) east of Macau on the opposite side of the Pearl River Delta. It is surrounded by the South China Sea on the east, south, and west, and borders the Guangdong city of Shenzhen to the north over the Shenzhen River. The territory's 1,104 km2 (426 sq mi) area consists of Hong Kong Island, the Kowloon Peninsula, the New Territories, and over 200 offshore islands, of which the largest is Lantau Island. Of the total area, 1,054 km2 (407 sq mi) is land and 50 km2 (19 sq mi) is inland water. Hong Kong claims territorial waters to a distance of 3 nautical miles (5.6 km). Its land area makes Hong Kong the 179th largest inhabited territory in the world. In comparison to North American cities, Hong Kong is tiny yet heavily populated. An example could be the city Edmonton, with a metro population of about 1.4 Million, making the city considerably smaller in population than Hongkong's 7.4 Million. However, Edmonton's metro area totals nearly 10,000 km2 (3,900 sq mi) making the city almost ten times larger than Hong kong. Also, The Greater Los Angeles area is over 87,000 km2 (34,000 sq mi), and with 18 million residents, has an incredibly low density when compared to Hong Kong and is 79 times larger in area. Hong Kong's bus service is franchised and run by private operators.[why?] Five privately owned companies provide franchised bus service across the territory, together operating more than 700 routes. The largest are Kowloon Motor Bus, providing 402 routes in Kowloon and New Territories, and Citybus, operating 154 routes on Hong Kong Island; both run cross-harbour services. Double-decker buses were introduced to Hong Kong in 1949, and are now almost exclusively used; single-decker buses remain in use for routes with lower demand or roads with lower load capacity. Public light buses serve most parts of Hong Kong, particularly areas where standard bus lines cannot reach or do not reach as frequently, quickly, or directly. The territory's population in 2011 is 7.07 million, with an average annual growth rate of 0.6% over the previous 5 years. The current population of Hong Kong comprises 93.6% ethnic Chinese. A major part of Hong Kong's Cantonese-speaking majority originated from the neighbouring Guangdong province, from where many fled during the Second Sino-Japanese War, the Chinese Civil War, and the communist rule in China. Residents from mainland China do not have the right of abode in Hong Kong, nor are they allowed to enter the territory freely. However, the influx of immigrants from mainland China, approximating 45,000 per year, is a significant contributor to its population growth – a daily quota of 150 Mainland Chinese with family ties in Hong Kong are granted a "one way permit". Life expectancy in Hong Kong is 79.16 years for males and 84.79 years for females as of 2009, making it the highest life expectancy in the world. About 93.6% of the people of Hong Kong are of Chinese descent, the majority of whom are Taishanese, Chiu Chow, other Cantonese people, and Hakka. Hong Kong's Han majority originate mainly from the Guangzhou and Taishan regions in Guangdong province. The remaining 6.4% of the population is composed of non-ethnic Chinese. There is a South Asian population of Indians, Pakistanis and Nepalese; some Vietnamese refugees have become permanent residents of Hong Kong. There are also Britons, Americans, Canadians, Japanese, and Koreans working in the city's commercial and financial sector. [note 3] In 2008, there were an estimate of 252,500 foreign domestic helpers from Indonesia and the Philippines working in Hong Kong. ^ Section 3(2) of the Sino-British Joint Declaration states in part: "The Hong Kong Special Administrative Region will enjoy a high degree of autonomy, except in foreign and defence affairs which, are the responsibilities of the Central People's Government." ^ Section 3(5) of the Sino-British Joint Declaration states that the social and economic systems and lifestyle in Hong Kong will remain unchanged, and mentions rights and freedoms ensured by law. Section 3(12) states in part: "The above-stated basic policies of the People's Republic of China ... will remain unchanged for 50 years." ^ a b c d "Hong Kong". The World Factbook. CIA. 23 August 2010. Retrieved 17 September 2010. ^ "Mid-year Population for 2014". Census and Statistics Department (Hong Kong). 12 August 2014. ^ a b c d e 2011 Population Census – Summary Results (PDF) (Report). Census and Statistics Department. February 2012. Retrieved 5 September 2013. ^ a b c d e "Hong Kong". International Monetary Fund. Retrieved 2 November 2014. ^ "Human Development Report 2009 – Gini Index". United Nations Development Programme. Retrieved 10 November 2009. ^ a b "Geography and Climate, Hong Kong" (PDF). Census and Statistics Department, Hong Kong Government. Retrieved 10 January 2007. ^ "Basic Law Bulletin Issue No. 2" (PDF). Department of Justice, HKSAR. ^ a b c d e "Basic Law, Chapter IV, Section 4". Basic Law Promotion Steering Committee. Retrieved 10 November 2009. ^ "2014 Global Cities Index and Emerging Cities Outlook" (PDF). Retrieved April 2014. ^ "The Global Financial Centres Index 16" (PDF). Long Finance. September 2014. Retrieved 10 December 2014. ^ "Global Competitiveness Index 2012–2013" (PDF). 2012. Retrieved 8 June 2013. ^ "Hong Kong Economy: Population, Facts, GDP, Business, Trade, Inflation". www.heritage.org. Retrieved 22 May 2015. ^ a b "Triennial Central Bank Survey: Report on global foreign exchange market activity in 2010" (PDF). Monetary and Economic Department (Bank for International Settlements): 12. December 2010. Retrieved 15 October 2011. ^ a b "Vertical Cities: Hong Kong/New York.". Time Out. 3 August 2008. Archived from the original on 16 January 2011. Retrieved 25 August 2010. ^ a b "Home page". Skyscraper Museum. 14 July 2008. Retrieved 25 August 2010. ^ a b "Public Transport Introduction". Transport Department, Hong Kong Government. Archived from the original on 7 July 2008. Retrieved 13 July 2008. ^ a b Lam, William H. K.; Bell, Michael G. H. (2003). Advanced Modeling for Transit Operations and Service Planning. Emerald Group Publishing. p. 231. ISBN 978-0-08-044206-8. ^ "Pollution Index 2015". Numbeo. 2015. Retrieved 29 April 2015. ^ "Health Effects of Air Pollution in Hong Kong". Retrieved 7 October 2014. ^ a b Room, Adrian (2005). Placenames of the World. McFarland & Company. p. 168. ISBN 0-7864-2248-3. Retrieved 1 September 2011. ^ "GovHK: Residents". Hong Kong Government. Retrieved 29 September 2010. ^ 港現舊石器製造場 嶺南或為我發源地 [Paleolithic site appears in Hong Kong, Lingnan perhaps discovered our birthplace]. People's Daily (in Chinese). 17 February 2006. Retrieved 21 August 2010. ^ Tang, Chung (2005). 考古與香港尋根 [Archaeologist help find Hong Kong's Roots] (PDF). New Asia Monthly (in Chinese) (New Asia College) 32 (6): 6–8. Retrieved 21 August 2010. ^ Li, Hui (2002). 百越遺傳結構的一元二分跡象 [The genetic structure of Baiyue divide in half] (PDF). Guangxi Ethnic Group Research (in Chinese) 70 (4): 26–31. Retrieved 21 August 2010. ^ "Declared Monuments in Hong Kong – New Territories". Leisure and Cultural Services Department, Hong Kong Government. 13 January 2010. Retrieved 21 August 2010. ^ Ban Biao; Ban Gu; Ban Zhao. "地理誌" [Treatise on geography]. Book of Han (in Chinese). Volume 28. Retrieved 26 August 2010. ^ Peng, Quanmin (2001). 從考古材料看漢代深港社會 [Archaeological material from the Shenzhen-Hong Kong Society of Han]. Relics From South (in Chinese). Retrieved 26 August 2010. ^ Keat, Gin Ooi (2004). Southeast Asia: A Historical Encyclopedia. ABC-CLIO. p. 932. ISBN 1-57607-770-5. Retrieved 1 September 2011. ^ "Archaeological Background". Hong Kong Yearbook (Hong Kong Government) 21. 2005. Retrieved 27 August 2010. ^ Siu Kwok-kin. 唐代及五代時期屯門在軍事及中外交通上的重要性 [The importance of Tuen Mun during Tang and Five Dynasties period for foreign traffic and military]. From Sui to Ming (in Chinese) (Education Bureau, Hong Kong Government): 40–45. Archived from the original on 29 August 2010. Retrieved 29 August 2010. ^ Sweeting, Anthony (1990). Education in Hong Kong, Pre-1841 to 1941: Fact and Opinion. Hong Kong University Press. p. 93. ISBN 962-209-258-6. ^ a b Barber, Nicola (2004). Hong Kong. Gareth Stevens. p. 48. ISBN 978-0-8368-5198-4. ^ Porter, Jonathan (1996). Macau, the Imaginary City: Culture and Society, 1557 to the Present. Westview Press. p. 63. ISBN 978-0-8133-2836-2. ^ Edmonds, Richard L. (2002). China and Europe Since 1978: A European Perspective. Cambridge University Press. p. 1. ISBN 978-0-521-52403-2. ^ Hayes, James (1974). "The Hong Kong Region: Its Place in Traditional Chinese Historiography and Principal Events Since the Establishment of Hsin-an County in 1573" (PDF). Journal of the Royal Asiatic Society Hong Kong Branch 14: 108–135. Retrieved 25 April 2015. ^ Info Gov HK. "Hong Kong Gov Info[dead link]." History of Hong Kong. Retrieved on 16 February 2007. ^ a b c d e f Wiltshire, Trea (1997). Old Hong Kong. Volume II: 1901–1945 (5th ed.). FormAsia Books. p. 148. ISBN 962-7283-13-4. ^ Scott, Ian (1989). Political change and the crisis of legitimacy in Hong Kong. University of Hawaii Press. p. 6. ISBN 978-0-8248-1269-0. ^ L, Klemen (1999–2000). "Chronology of the Dutch East Indies, 7 December 1941 – 11 December 1941". Forgotten Campaign: The Dutch East Indies Campaign 1941–1942. ^ L, Klemen (1999–2000). "Chronology of the Dutch East Indies, 25 December 1941 – 31 December 1941". Forgotten Campaign: The Dutch East Indies Campaign 1941–1942. ^ Bradsher, Keith (17 April 2005). "Thousands March in Anti-Japan Protest in Hong Kong". The New York Times. Retrieved 20 October 2010. ^ Moore, Lynden (1985). The growth and structure of international trade since the Second World War. Cambridge University Press. p. 48. ISBN 978-0-521-46979-1. Retrieved 1 September 2011. ^ Dodsworth, John; Mihaljek, Dubravko (1997). Hong Kong, China: Growth, Structural Change, and Economic Stability During the Transition. International Monetary Fund. p. 54. ISBN 1-55775-672-4. ^ "Links between SARS, human genes discovered". People's Daily. 16 January 2004. Retrieved 1 February 2008. ^ Lee, S. H. (2006). SARS in China and Hong Kong. Nova Publishers. pp. 63–70. ISBN 978-1-59454-678-5. ^ "Summary of probable SARS cases with onset of illness from 1 November 2002 to 31 July 2003". World Health Organization. 31 December 2003. Retrieved 4 October 2010. ^ 疫情衝擊香港經濟損失巨大 [The impact of economic losses in the great epidemic] (in Chinese). BBC News. 28 May 2003. Retrieved 24 August 2010. ^ Yau, Cannix (11 March 2005). "Tung's gone. What next?". The Standard. Retrieved 17 September 2010. ^ "Donald Tsang wins Chief Executive election". Hong Kong Government. 25 March 2007. Archived from the original on 26 May 2008. Retrieved 17 September 2010. ^ "Chinese Taipei Wins God Medal in Men's 400-Meter Relay". Kuomintang. 14 December 2009. Retrieved 17 September 2010. ^ Trouble Down South: Why Hong Kong and Mainland Chinese Aren’t Getting Along Ko, Vanessa. TIME, 24 June 2012. ^ The Economist Intelligence Unit (2 January 2008). "Hong Kong politics: China sets reform timetable". The Economist. Retrieved 6 September 2010. ^ "Basic Law, Chapter IV, Section 6". Basic Law Promotion Steering Committee. Retrieved 10 November 2009. ^ "Civil Service" (PDF). Information Services Department, Hong Kong Government. June 2009. Retrieved 6 September 2010. ^ "Basic Law, Chapter IV, Section 1". Basic Law Promotion Steering Committee. Retrieved 10 November 2009. ^ Burns, John P. (2004). Government Capacity and the Hong Kong Civil Service. Oxford University Press. p. 114. ISBN 978-0-19-590597-7. ^ "Basic Law, Chapter IV, Section 3". Basic Law Promotion Steering Committee. Retrieved 10 November 2009. ^ Madden, Frederick (2000). The End of Empire: Dependencies since 1948. Part 1: The West Indies, British Honduras, Hong Kong, Fiji, Cyprus, Gibraltar, and the Falklands. Volume VIII: Select Documents on the Constitutional History of the British Empire and Commonwealth. Greenwood Publishing. pp. 188–196. ISBN 978-0-313-29072-5. ^ Gaylord, Mark S.; Gittings, Danny; Traver, Harold (2009). Introduction to Crime, Law and Justice in Hong Kong. Hong Kong University Press. p. 153. ISBN 978-962-209-978-4. ^ a b "Basic Law, Chapter II". Basic Law Promotion Steering Committee. Retrieved 10 November 2009. ^ a b "Right of Abode in HKSAR—Verification of Eligibility for Permanent Identity Card". Immigration Department, Hong Kong Government. 5 June 2007. Archived from the original on 19 January 2008. Retrieved 1 February 2008. ^ "Presentation to Legislative Council on Right of Abode Issue". Hong Kong Human Rights Monitor. 10 May 1999. Retrieved 20 January 2007. ^ Cohen, Warren I.; Li, Zhao (1997). 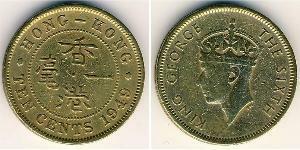 Hong Kong Under Chinese Rule: The Economic and Political Implications of Reversion. Cambridge University Press. pp. 220–235. ISBN 978-0-521-62761-0. ^ "Public Consultation on the Methods for Selecting the Chief Executive and for Forming the Legislative Council in 2012" (PDF). Hong Kong Government. 11 June 2010. Retrieved 5 September 2010. ^ Balfour, Frederik; Lui, Marco (25 June 2010). "Hong Kong Lawmakers Approve Tsang's Election Plan". Businessweek. Bloomberg. Retrieved 6 October 2010. ^ "Hopes for full democracy in Hong Kong dealt blow by Beijing". Hong Kong Herald. 31 August 2014. Retrieved 1 September 2014. ^ a b c Ash, Robert F. (2003). Hong Kong in Transition: One Country, Two Systems. Volume 11: RoutledgeCurzon Studies in the Modern History of Asia. Psychology Press. pp. 161–188. ISBN 978-0-415-29954-1. ^ a b "Introduction". Hong Kong Judiciary. Retrieved 20 September 2008. ^ "Basic Law Bulletin Issue No. 10 Part 3" (PDF). Retrieved 14 May 2014. ^ "Basic Law, Chapter IV, Section 2". Basic Law Promotion Steering Committee. Retrieved 10 November 2009. ^ Weisenhaus, Doreen; Cottrell, Jill; Yan, Mei Ning (2007). Hong Kong Media Law: A Guide for Journalists and Media Professionals. Hong Kong University Press. p. 74. ISBN 978-962-209-808-4. ^ Hong Kong Economic Journal, 3 July 2007, Page 34. ^ "Country Report 2009". Freedom House. Retrieved 14 December 2009. ^ a b "2008 Human Rights Report: China (Hong Kong)". US Department of State. Archived from the original on 23 January 2010. Retrieved 2 March 2010. ^ "Sexual Orientation and Human Rights in Hong Kong". Hong Kong Human Rights Monitor. Retrieved 2 March 2010. ^ Barme, Geremie R.; Ye, Sang (1 February 1996). "The Great Firewall of China". Wired.com. Retrieved 2 November 2011. ^ a b "Hong Kong– The Facts: District Administration" (PDF). Hong Kong Government. Retrieved 31 August 2008. ^ "Mission". Home Affairs Department, Hong Kong Government. 30 June 2009. Retrieved 10 November 2009. ^ Rioni, S. G. (2002). Hong Kong in Focus: Political and Economic Issues. Nova Publishers. pp. 154–163. ISBN 978-1-59033-237-5. ^ "Mystery surrounds new Hong Kong army cadet force inaugurated at PLA base". SCMP Hong Kong. 15 January 2015. ^ "2006 Population By-census" (PDF). Census and Statistics Department, Hong Kong Government. Retrieved 13 November 2009. ^ "Tai Mo Shan Country Park". Agriculture, Fisheries and Conservation Department, Hong Kong Government. 17 March 2006. Retrieved 8 November 2009. ^ "Geopark leaflet" (PDF). Retrieved 26 October 2013. ^ "Chief Executive pledges a clean, green, world-class city". Hong Kong Trade Development Council. November 2001. Retrieved 17 September 2010. ^ "HK harbour reclamation reprieve". BBC News. 9 January 2004. Retrieved 4 October 2010. ^ Bradsher, Keith (5 November 2006). "Dirty Air Becomes Divisive Issue in Hong Kong Vote". The New York Times. Retrieved 1 February 2008. ^ "Climate of Hong Kong". Hong Kong Observatory. 4 May 2003. Retrieved 2 August 2007. ^ "Hong Kong in Figures 2008 Edition". Census and Statistics Department, Hong Kong Government. 27 February 2008. Retrieved 7 May 2008. ^ "Extreme Values and Dates of Occurrence of Extremes of Meteorological Elements between 1884–1939 and 1947–2006 for Hong Kong". Hong Kong Observatory. Retrieved 1 February 2008. ^ "Monthly Meteorological Normals for Hong Kong". Hong Kong Observatory. Retrieved 2012-01-03. ^ "Extreme Values and Dates of Occurrence of Extremes of Meteorological Elements between 1884-1939 and 1947-2011 for Hong Kong". Hong Kong Observatory. Retrieved 2012-08-12. ^ a b "End of an experiment". The Economist. 15 July 2010. Retrieved 5 September 2010. ^ "Hong Kong ranked world's freest economy for 18th consecutive year". Government of Hong Kong. 12 January 2012. Retrieved 28 May 2012. ^ Bromma, Hubert (2007). How to Invest in Offshore Real Estate and Pay Little Or No Taxes. McGraw-Hill Professional. p. 161. ISBN 978-0-07-147009-4. ^ Preston, Peter Wallace; Haacke, Jürgen (2003). Contemporary China: The Dynamics of Change at the Start of the New Millennium. Psychology Press. pp. 80–107. ISBN 978-0-7007-1637-1. ^ Yeung, Rikkie (2008). Moving Millions: The Commercial Success and Political Controversies of Hong Kong's Railways. Hong Kong University Press. p. 16. ISBN 978-962-209-963-0. ^ "The Global Financial Centres Index 1 Executive Summary" (PDF). City of London. March 2007. p. 6. Archived from the original (PDF) on 5 June 2007. Retrieved 12 April 2007. ^ "World Federation of Exchanges – Statistics/Monthly". World Federation of Exchanges. Archived from the original on 21 August 2010. Retrieved 17 September 2010. ^ "Hong Kong IPOs May Raise Record $48 Billion in 2010, E&Y Says". Bloomberg. 21 December 2009. Retrieved 17 September 2010. ^ Hong Kong's Linked Exchange Rate System (PDF). Hong Kong Monetary Authority. p. 33. Retrieved 6 October 2010. ^ "Hong Kong's Export Outlook for 2008: Maintaining Competitiveness through Supply Chain Management". Hong Kong Trade Development Council. 6 December 2007. Retrieved 30 August 2010. ^ "HKDF –Has Hong Kong Lost its Competitiveness?". Hong Kong Democratic Foundation. Retrieved 14 November 2009. ^ Kong, Daniel (8 August 2013). "Hong Kong Imports Over 90% of Its Food. Can It Learn to Grow?". Modern Farmer. Retrieved 26 October 2013. ^ "About Hong Kong". Hong Kong government. April 2006. Archived from the original on 19 January 2008. Retrieved 1 February 2008. ^ "The Panama Canal: A plan to unlock prosperity". The Economist. 3 December 2009. Retrieved 4 December 2009. ^ Dhungana, Gita (29 December 2006). "Growth in exports defies predictions". The Standard. Retrieved 4 October 2010. ^ Economic and Social Survey of Asia and the Pacific 2009: Addressing Triple Threats to Development. United Nations Publications. 2009. pp. 94–99. ISBN 978-92-1-120577-0. ^ "Worldwide Cost of Living survey 2009". Mercer. 29 June 2010. Retrieved 25 August 2010. ^ "Global Wealth Continues Its Strong Recovery with $9 Trillion Gain, but Pressures on Wealth Managers Persist, Says Study by The Boston Consulting Group" (Press release). Finance Twitter. 31 May 2011. ^ "Explore Economies". World Bank. 2010. Retrieved 31 August 2010. ^ "Octopus Card Information". Octopus Cards Limited. Retrieved 10 December 2008. ^ "Press Release: Government has reached understanding with MTRCL on the terms for merging the MTR and KCR systems". Hong Kong Government. 11 April 2006. Retrieved 17 November 2007. ^ "The Company". Hong Kong Tramways. Archived from the original on 10 April 2008. Retrieved 29 April 2008. ^ "Ferry is amongst the world's best". BBC News. 19 October 2004. Retrieved 29 April 2008. ^ Fitzpatrick, Liam. "Hong Kong: 10 Things to Do in 24 Hours". Time. Retrieved 31 August 2010. ^ Cushman, Jennifer Wayne (1993). Fields from the sea: Chinese junk trade with Siam during the late eighteenth and early nineteenth centuries. SEAP Publications. p. 57. ISBN 0-87727-711-7. ^ "HIT:: Hongkong International Terminals". Retrieved 22 February 2011. ^ Cavaliero, Eric (24 July 1997). "Grand old lady to turn 110". The Standard. Retrieved 1 September 2010. ^ Gold, Anne (6 July 2001). "Hong Kong's Mile-Long Escalator System Elevates the Senses: A Stairway to Urban Heaven". The New York Times. Retrieved 22 October 2010. ^ a b "About Us". Hong Kong International Airport. Archived from the original on 21 August 2007. Retrieved 28 April 2008. ^ "International travellers have voted Hong Kong the best airport in the world". Skytrax. 8 August 2007. Retrieved 28 April 2008. ^ a b Fan Shuh Ching (1974). "The Population of Hong Kong" (PDF). World Population Year (Committee for International Coordination of National Research in Demography): 18–20. Retrieved 25 August 2010. ^ "A history of refugees in Hong Kong". Time Out Hong Kong. 18 June 2013. Retrieved 9 September 2013. The first wave of refugees came to Hong Kong in the 1930s to escape from the Chinese Civil War and the Sino-Japanese War, but it wasn't until 1949, during the Chinese exodus, when an estimated one million-plus mainland Chinese started coming into the territory via the northern borders. Many people, mostly anti-communist Kuomintang officials and capitalists, rushed to Hong Kong in search of refuge. ^ Lonely Planet Hong Kong (10th ed.). Lonely Planet. 2002. p. 16. ISBN 1864502304. The turmoil on the mainland, leading to the defeat of the Nationalists and takeover by the Communists in 1949, unleashed a torrent of refugees – both rich and poor -into Hong Kong. ^ "Veterans who fled mainland for Hong Kong in 1970s tell their stories". South China Morning Post. Retrieved 9 September 2013. ^ "Who is entitled to sponsor family members to come to live in Hong Kong? If I am a lawful resident of Hong Kong, can my family members in the Mainland (or elsewhere) apply to immigrate to Hong Kong?". Community Legal Information Centre. Retrieved 4 November 2009. ^ "Counting Expat Numbers a Complex Task (Hong Kong)". Global Auto Industry. July 2008. Retrieved 30 August 2010. ^ International Labour Office (2009). Application of International Labour Standards 2009 (I). International Labour Organization. p. 640. ISBN 92-2-120634-3. ^ Westra, Nick (5 June 2007). "Hong Kong as a Cantonese speaking city". Journalism and Media Studies Centre, University of Hong Kong. Retrieved 14 November 2009. ^ "ICE Hong Kong". University College London. Retrieved 1 February 2008. ^ Yum, Cherry (2007). "Which Chinese? Dialect Choice in Philadelphia's Chinatown" (PDF). Haverford College. Retrieved 25 August 2010. ^ "Hong Kong". Bmm.org. 1 July 1997. Retrieved 2 November 2011. ^ a b "China (Includes Tibet, Hong Kong, Macau)". State.gov. Retrieved 2 November 2011. ^ Carballo, Marita. "RELIGION IN THE WORLD AT THE END OF THE MILLENNIUM". Gallup International Association. Archived from the original on 20 July 2011. Retrieved 11 May 2012. 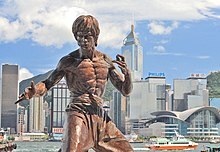 ^ "Evolution wins out in Hong Kong curriculum dispute". Nature.com. Retrieved 2 November 2011. ^ "Victory for Darwin – Creationism rejected in new guidelines on the biology curriculum | 香港獨立媒體". Inmediahk.net. Retrieved 2 November 2011. ^ "Hong Kong Year Book (2010): Chapter 18 – Religion and Custom" (PDF). Retrieved 26 October 2013. ^ "Hong Kong China Temple". The Church of Jesus Christ of Latter-day Saints. Retrieved 30 September 2010. ^ 2015 Yearbook of Jehovah's Witnesses. Watch Tower Society. p. 184. 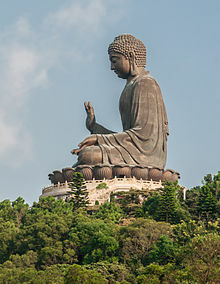 ^ "International Religious Freedom Report 2007 – Hong Kong". United States Department of State. 2007. Retrieved 16 May 2009. ^ "International Religious Freedom Report 2006 – Hong Kong". United States Department of State. 2006. Retrieved 6 October 2010. ^ Piboontanasawat, Nipa (23 October 2008). "Hong Kong Has Highest Income Disparity in Asia, UN Report Says". Bloomberg. Retrieved 25 August 2010. ^ "State of the World's Cities 2008/2009" (PDF) (Press release). United Nations Human Settlements Programme. 2009. Retrieved 31 August 2010. ^ "Subcommittee to Study the Subject of Combating Poverty" (PDF). 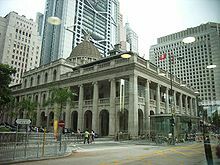 Legislative Council of Hong Kong. 23 June 2005. Retrieved 30 August 2010. ^ Chan, Shun-hing; Leung, Beatrice (2003). Changing Church and State Relations in Hong Kong, 1950–2000. Hong Kong University Press. p. 24. ISBN 962-209-612-3. ^ "PISA 2006 Science Competencies for Tomorrow's World". Organisation for Economic Co-operation and Development. 2006. Retrieved 14 December 2007. ^ "Programme Highlights". Hong Kong Government. Retrieved 20 October 2010. ^ "HKDSE". Hong Kong Examinations and Assessment Authority. 12 October 2010. Retrieved 20 October 2010. ^ "Report of the Fulton Commission, 1963: Commission to Advise on the Creation of a Federal-Type Chinese University in Hong Kong". Minerva 1 (4): 493–507. Summer 1963. Retrieved 30 April 2014. ^ Tan, Hwee Ann (5 June 2013). "Hong Kong Says International Schools Can't Meet Primary Demand". Bloomberg Businessweek. Retrieved 9 June 2013. ^ Hsu, Cathy (12 November 2012). Global Tourism Higher Education: Past, Present, and Future. Routledge. pp. 139–142. ISBN 9781136448478. ^ "Clusters, Hospitals & Institutions". Hospital Authority. Retrieved 9 May 2013. ^ "Health & safety". Lonely Planet. Retrieved 10 May 2013. ^ "Private Hospitals in Hong Kong". The New Economy. Retrieved 9 May 2013. ^ "Education". 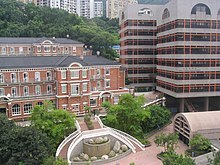 University of Hong Kong. Retrieved 10 May 2013. ^ "Educational objectives". University of Hong Kong. Retrieved 10 May 2013. ^ LaFraniere, Sharon (22 February 2012). "Mainland Chinese Flock to Hong Kong to Give Birth". The New York Times. Retrieved 9 June 2013. ^ "24 hours in Hong Kong: Urban thrills where East meets West". CNN. 8 March 2009. Retrieved 27 May 2009. ^ "Feng shui used in 90% of RP businesses". Philippine Daily Inquirer. 17 February 2009. Retrieved 14 November 2009. ^ Fowler, Jeaneane D.; Fowler, Merv (2008). Chinese Religions: Beliefs and Practices. Sussex Academic Press. p. 263. ISBN 978-1-84519-172-6. ^ Xi, Xu; Ingham, Mike (2003). City Voices: Hong Kong writing in English, 1945–present. Hong Kong University Press. p. 181. ISBN 978-962-209-605-9. ^ Chan, Cecilia; Chow, Amy (2006). Death, Dying and Bereavement: a Hong Kong Chinese Experience. Volume 1. Hong Kong University Press. p. 3. ISBN 978-962-209-787-2. ^ Stone, Andrew; Chow, Chung Wah; Ho, Reggie (15 January 2008). Hong Kong and Macau. Lonely Planet. p. 7. ISBN 978-1-74104-665-6. ^ Corliss, Richard (24 September 2001). "Hong Kong music circles the globe with its easy-listening hits and stars". Time. Retrieved 4 November 2009. ^ "General Information". Leisure and Cultural Services Department, Hong Kong Government. 15 October 2009. Archived from the original on 16 November 2004. Retrieved 31 August 2010. ^ "Broadcasting: Licences". Commerce and Economic Development Bureau, Hong Kong Government. Retrieved 4 November 2009. ^ Li, Jinquan (2002). Global Media Spectacle: News War Over Hong Kong. State University of New York Press. pp. 69–74. ISBN 978-0-7914-5472-5. ^ Walker, Christopher; Cook, Sarah (12 October 2009). "China's Export of Censorship". Far Eastern Economic Review. Retrieved 4 November 2009. ^ "Hong Kong Olympic Equestrian Venue (Beas River & Shatin)". Beijing Organizing Committee for the Olympic Games. Retrieved 4 November 2009. ^ Macdonald, Phil (2006). National Geographic Traveler: Hong Kong (2nd ed.). National Geographic Society. p. 263. ISBN 978-0-7922-5369-3. ^ "Legislative Council Panel on Home Affairs Sports Development Policy and Objectives" (PDF). Home Affairs Bureau. October 2010. Retrieved 8 June 2013. ^ "Cities with the most skyscrapers". Emporis. Retrieved 14 June 2012. ^ "World's Tallest Residential Towers". Emporis. Retrieved 24 May 2009. ^ "International Commerce Centre". Emporis. Retrieved 2 September 2008. ^ "Two International Finance Centre". Emporis. Retrieved 24 May 2009. ^ "Emporis Skyline Ranking". Emporis. Retrieved 24 May 2009. ^ "The world's top 20 city skylines, CNNGo.com". Retrieved 1 March 2011. ^ "Best Skyline Poll". Retrieved 8 February 2008. ^ Gramsbergen, Egbert; Paul Kazmierczak. "The World's Best Skylines". Retrieved 8 February 2008. ^ "Declared Monuments in Hong Kong – Hong Kong Island". Leisure and Cultural Services Department, Hong Kong Government. 13 January 2010. Retrieved 31 August 2010. 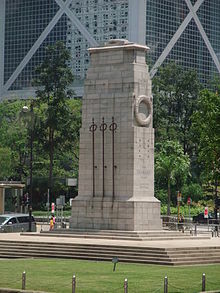 ^ "Declared Monuments in Hong Kong – Kowloon Island". Leisure and Cultural Services Department, Hong Kong Government. 13 January 2010. Retrieved 31 August 2010. ^ "Central Waterfront Design Competition". Designing Hong Kong. Retrieved 26 April 2008. ^ "West Kowloon Cultural District Public Engagement Exercise". Home Affairs Bureau, Hong Kong Government. 26 August 2008. Archived from the original on 11 April 2008. Retrieved 6 October 2010. ^ "Kai Tak building height restrictions lifted". Hong Kong Government. 10 July 1998. Retrieved 26 April 2008.